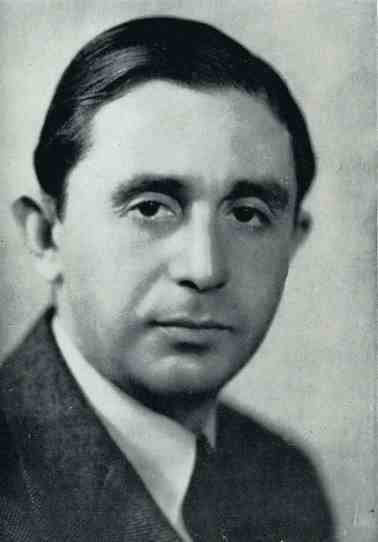 Joseph Schillinger (1895 - 1943) was born in Kharkov, Ukraine (at that time, part of Russia). He was an exceptional student throughout this academic life and graduated from the Classical College in 1914 and the St. Petersburg Imperial Conservatory of Music. Schillinger came to the United States of America in 1928 and received his citizenship in 1936. He remained in America until his untimely death in 1943 at age 47. In his short life Joseph Schillinger achieved a very great deal in the area of music and composition theory. He was a teacher of music at Columbia Teachers College and also gave private lessons in music composition from his home, during which time he developed the Schillinger System of music. This was later published as the Schillinger System of Musical Composition by Joseph Schillinger, compiled by Lyle Dowling and Arnold Shaw. This work was published posthumously and is still deemed incomplete by his original students. One of his students, Lawrence Berk, founded the Schillinger House of Music, later to be named the Berklee College of Music at Boston, MA. Schillinger also served as teacher of composition to George Gershwin, Glenn Miller, Carmine Coppola and many others. There has been debate surrounding how many teachers were certified by Schillinger himself. The numbers cited range from 7 to 12 certified teachers. Yet, to date, only 7 certified teachers of the Schillinger System have been substantiated. Für den Hinweis auf diesen Kompositionstheoretiker danke ich ganz herzlich Dr. Fred Englert.